It's Friday! Today, Joseph is working from home and I'm crossing things off my to-do list. Clean Wilson's cage? Check. Do some laundry? Check. Drink too many cups of coffee? Check, check. But before I pour my third cup (I know, it's only 9:30 am. It's been a crazy week), here's a quick look at the adventures in the Langr household this week. I ran my 10K Sunday morning and it went so much better than I expected. I not only was able to set a personal record, but I also had a great time. Can we just have a moment of appreciation for how friendly Midwest races are? Everyone was so dang friendly. We all cheered each other on and little kids lined up and down the street giving high-fives. What a great first 10K experience. The only thing that was not-so-friendly was how the race organizers had told us it would be a flat course. That turned out to be a lie. We had a few large hills - but running downhill? I can take that. Now I just have to decide when I want to run a half-marathon! Given the fact that I struggled to even walk up the stairs the next day, I think I'll give myself some rest for a little bit. Tuesday night, I came home from work to find a sheriff's notice on our front door. Let's just say the notice highly recommended coming down to the court and picking up some legal papers. My first thought was "Holy smokes. What did I do wrong. How did I do something bad enough to need to pick up court papers, yet have no idea what law I could have possibly broken?" In a frantic rush, I called the sheriff's office and was informed that, no, I hadn't broken the law, The papers were for a person who used to live at our address. Sigh of relief. Turns out I'm not a fugitive, so that's good. It turns out the information about our address didn't get passed along to the next shift at the sheriff's because Wednesday morning, I heard a knock on my door. I opened the door to find the sheriff on our front step. At this point, I was confident in my status as a law abiding citizen, so I told him what I'd told the office on the phone Tuesday night and was as cool as a cucumber. Nothing like a little mid-week adventure. Since Joseph and I moved to Kansas City over a year ago, I've been on the hunt for the perfect coffee shop. It has to have fantastic coffee, a semi-quiet environment, and preferably have an industrial feel to it. It also helps if not many other people have discovered it. Granted, I'm comparing every coffee shop to one of my favorite hangouts during college, PT's coffee right off of campus. As it turns out, there is another PT's here in Kansas City, but I haven't gone because I didn't want to be completely disappointed. This week, I went out to coffee with a friend and we tried PT's and, friends, it is beautiful. I may have found my post-college writing hangout spot. Since Bishop Barron has posted a few episodes about Canadian psychologist Jordan Peterson, Joseph and I have spent some time digging into Peterson's work. We listened to a few of Peterson's podcast episodes during our weekend drive time last week. So far, we're impressed with his work quite a bit. I'm struck by how humble Peterson is. I still need to read Peterson's book, but I'm currently number 146 in line at the library, so it'll be a hot minute before that happens. There's nothing like an upcoming carpool to give you the motivation to clean your car. My poor little car has taken quite a beating over the past few weeks. She has a cracked windshield, she's littered with a few Dr. Pepper cans, and hasn't been vacuumed for quite a while. So, it's time to clean some things out and shine her back up. After laundry, car cleaning is my least favorite chore. But it'll totally be worth it after she's back to her clean state, which will last for maybe a week before she gets dirty again. 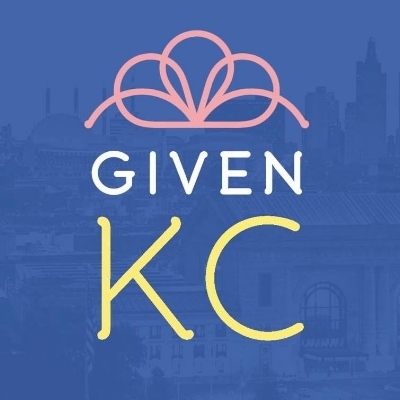 If you're a woman between the age of 18 and 35 and have an open Saturday tomorrow, you should come to the GIVEN conference in Lee Summit, MO. Sister Miriam, SOLT, is going to be there and I'd love to see you there! You can find out more information here. Are you going to the conference? I'd love to meet you! I don't know about you, but this Lent has flown by. Tonight is the last fish fry of the year, which is crazy to think about. In only nine days, Joseph and I will be able to eat something for dinner other than chicken and curry. Actually, I've really gotten used to that meal for dinners and I'll miss it. Maybe we'll make it once a week, even after Easter.